12. The museum in details. 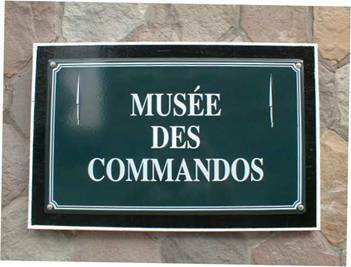 Created on the initiative of Lieutenant-General Pierre ROMAN, Lieutenant Commando in 1942, the Commando museum was inaugurated on July 04, 1980 by Mrs Pierre ROMAN in the presence of Major general ret. Baron George DANLOY, first Major of the first Unit of Belgian Commandos, the "4th Troop" created in July 42 in Great Britain within the "N° 10 Inter-Allied Commando". 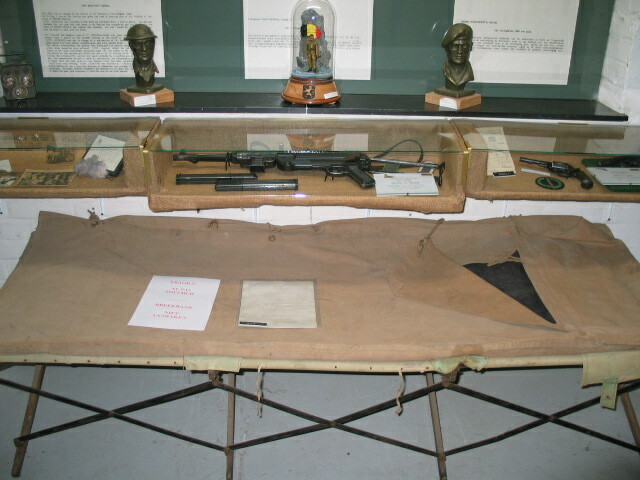 The Museum illustrates the history of the Belgian Commandos as from 1942. 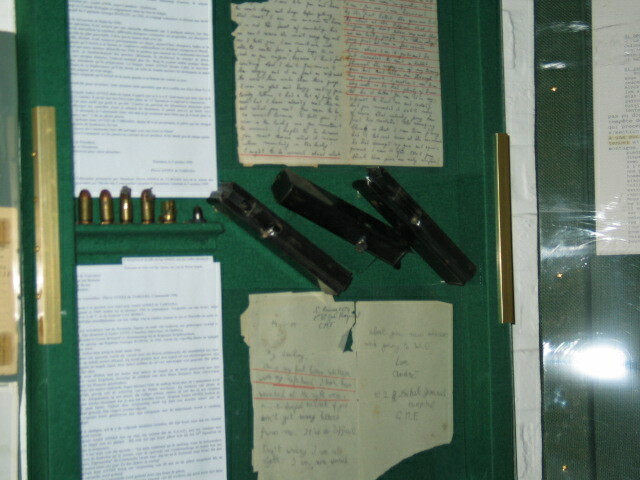 All that is shown has been offered to the Museum and must be directly or indirectly linked to the Belgian Commandos. Arranged in chronological order or by themes, the collections are divided up in nineteen rooms of variable size, each room having a number and a denomination. 1. The room of honour. There one finds the photographs of the Corps Chiefs, of the Corps Warrant officers (RSM) and of the Corps Corporals of the 2d Commando Battalion, direct heir of the "4th TROOP", the badges of the various existing or dissolved Commando units, the names of the Commandos who died in operations or on duty, a corner especially dedicated to the "Padre" L CORBISIER, first chaplain of the Commandos. Captain George DANLOY, who became Major general ret. Baron George DANLOY, founder of the Belgian Commandos, unfortunately died on 19 October 1999. A large part is devoted to him. - the commemorative plate of the memorial. The Belgian Commandos have travelled and still travel: in response to an order of the Belgian Government in London, the Founders joined Great Britain from all over the world and many of them made a long and dangerous journey, from the occupied Belgium to England through France, Spain and/or Portugal. The Units carried out combat missions (at the side of the Allied from 43 to 45), and humanitarian operations, for Belgium, UN or NATO mainly in Europe and Central Africa. Many Commandos joined the Corps of the Belgian Volunteers for Korea. 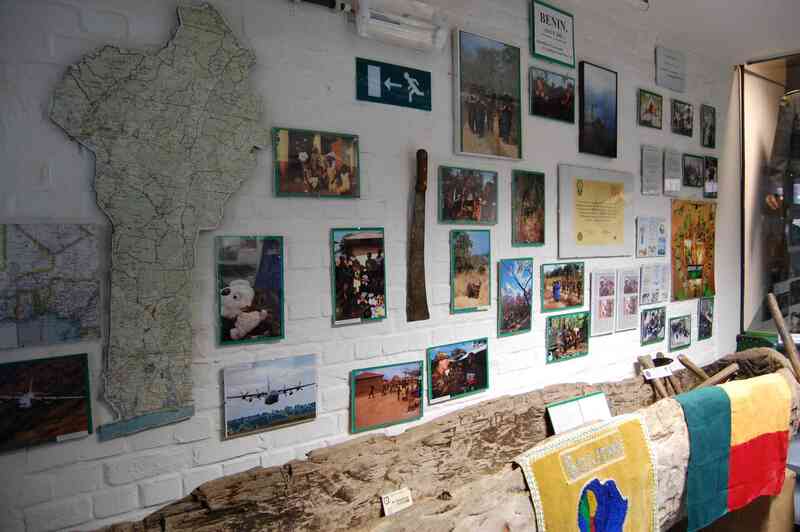 To be seen : - Various places visited by the Commandos. 3. The creation (3 rooms 3A, 3B, 3C). 3A. In 1942, on proposal of the English, the Belgian Government in London agrees to incorporate a Belgian Unit in the "N° 10 Inter-Allied Commando". 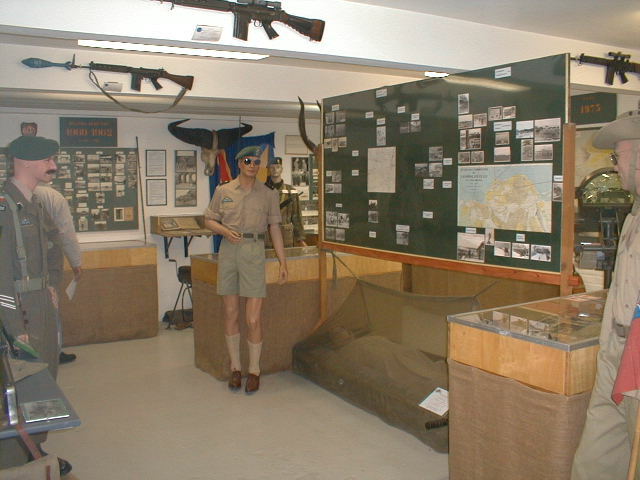 The "4th Troop" is created on 27 July 1942 under the command of Reserve Captain George DANLOY and settles in Abersoch in Wales, where, in absence of barracks, it is taken in by the inhabitant, just like the other Commando "Troops". To be seen : - the list of the 1st Commandos in training. 3B. In September, it settles in Achnacarry, Scotland, in order to undergo a hard training which will make it possible for its members to wear the "Green Beret". To be seen : A reproduction of the monument erected in SPEAN BRIDGE (SCOTLAND) is shown. 3C. 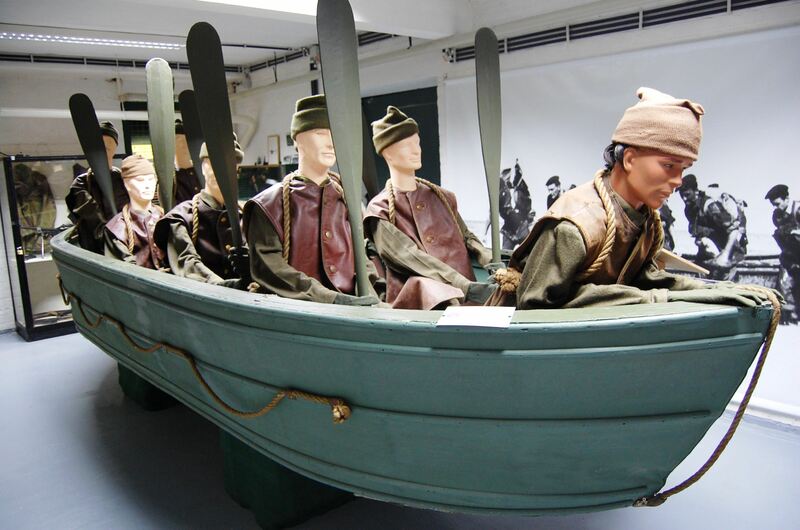 One finds a "Goatley", a foldable boat used by the Commandos during the war and, afterwards, until 1957. In February 1957, during a demonstration for General NORSTAD (SACEUR), a boat overturns and 3 men drown. Although the boat had nothing to do with the accident, it is withdrawn from the training. 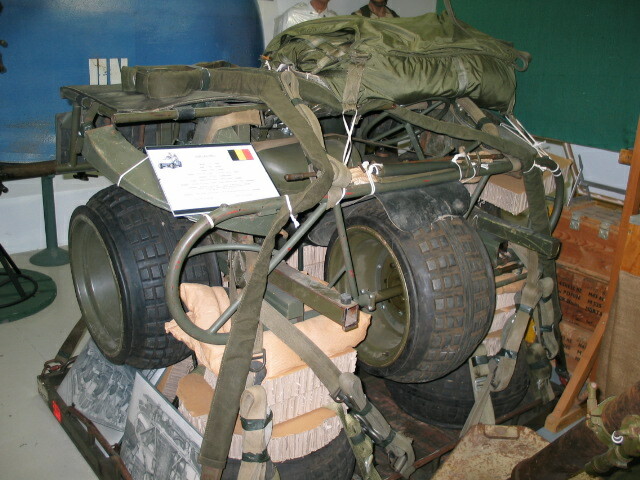 The model shown (the only one in Belgium) could be acquired thanks to a subscription in which took part more than 660 members of the Commando family. To be seen : Goatley with its crew. On 13 December 1943, in Italy, in front of the "Gustav Line" (in the area of Monte Cassino), the "4th Troop" is the first Unit of the Belgian Land Force to be fighting again after the defeat of 1940. - the campbed and the chair of Doctor VAN PEPERSTRAETE F, doctor of the Unit. In March 44, the Unit was on the island of Vis in Yugoslavia at the side of the partisans of TITO. Back in England in June, too late to take part in the landing, it will form part, from Ostend, of the first wave of assault to conquer the island of Walcheren on 1 November 1944. This island will be conquered after 9 days of harsh combat. In April 45, the "4th Troop" is on a safety assignment in the North of Germany. While searching the Belgians who did carry the Nazi uniform, the Major PSC HELLEBAUT, chief of the "Wallonia Legion" will be arrested and sent back to Belgium under the guard of Major DANLOY. 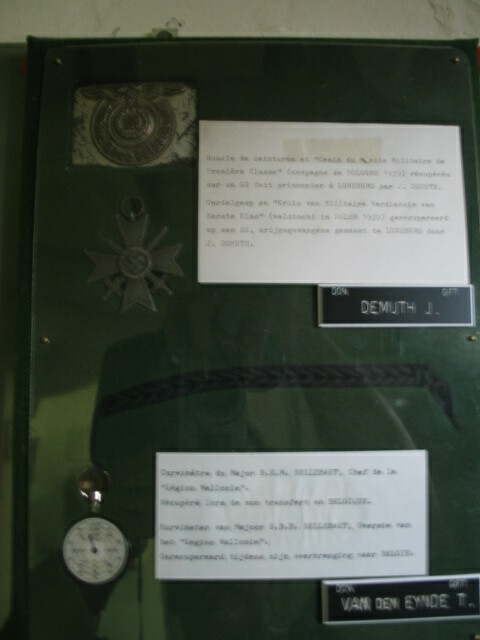 To be seen : - the curvometer of the Chief of the "Wallonia Legion". In September 1945, the "4th Troop" that became "Commando Regiment" in May returns to Belgium and settles in Marches-les-Dames and the Citadel of Namur, later also in Seilles. 1946: The Commando Regiment receives its standard. 1947: The Commando training centre is officially created. - different types of material used in the Training centre. 1950: Many Commandos volunteer to go to Korea. The Commando regiment is in charge of the training of the officers and later of the reinforcements for the Corps of the Belgian Volunteers for Korea. 1951: Creation of the Para-Commando Regiment of which the first Commandant is Lieutenant-colonel George DANLOY. To be seen : - Two parachutes illustrate this new type of training of the Commandos. To be seen : - a fictitious machine-gun which reproduces the noise of the shooting and which, thanks to a bicycle light placed in the barrel, simulated the shooting flames (until the beginning of the Sixties, the only training cartridges were the "Bull Blank" with a wooden point). To be seen : - Various pieces of material brought back during these operations are shown. - a rolling kitchen, for 300 people, has been introduced with difficulty. In 1993, the 2d Commando Battalion, the Para-Commando Artillery battery, the Para-Commando Antitank Company and the 14th Para-Commando Engineers Company take part in operations "UNOSOM I" and "UNOSOM II" in Somalia under the aegis of the United Nations and wear the blue beret. To be seen : - a series of armaments captured during these assignments is shown, in particular this heavy machine gun 12,7mm (USSR MOD 1938 and 1938/46). In March 94, the 2d Commando Battalion relieves the 1st Para Battalion in Rwanda for the mission "UNAMIR". On 7 April, 10 Commandos of the Mortar platoon are savagely assassinated by soldiers of the Rwandan Army: Lt LOTIN Th. - 1Sgt LEROY Y. - Cpl BASSINNE B. - Cpl DEBATTY A. - Cpl DUPONT CH. - Cpl LHOIR S - Cpl MEAUX B. - Cpl PLESCIA L. - Cpl RENWA CH. 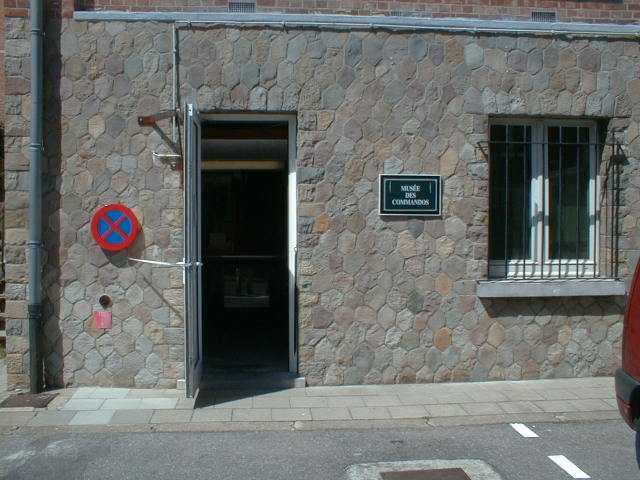 - Cpl UYTTEBROECK M.
To be seen : - a memorial has been erected in this room. In 1999, the 2d Commando Battalion, the Para-Commando Artillery battery, the 14th Para-Commando Engineers Company and the 210th Para-Cdo Logistic Company take part in the operation of NATO in Albania and Kosovo "Allied Harbour". To be seen : - a vehicle AS24 used in the Battalions between 1964 and 1998. - In March 2003, the Battalion brought back from Kosovo a German anti-tank gun of WWII, a PAK 38 which had been kept by the Yugoslav army. There remain few specimens of this model. After the African period, a more important role is assigned to the Para-Commando Regiment in Europe. The 2d Commando Battalion is brought to three companies of fusiliers. The Para-Commando antitank company (green beret) is created in 1963 and the Para-commando Artillery Battery (green beret) in 1973. In 1992, the Para-Commando Regiment, that has become a Brigade, sees the creation of the 14 Para-Commando Engineers Company, in 94 that of the 210 Para-Commando Logistic Company and the 35 Para-commando Anti-aircraft Artillery Battery which also take up Commandos traditions. But with the successive reorganisations of the Army, all the support units were unfortunately dissolved. The howitzers of 105mm (US), produced in 1942, equipped the Para-commando Artillery Battery from 1974 to 1998. To be seen : - one of these howitzers is shown in this room. Room 9 At the beginning of the Fifties, in order to try to save the company MINERVA, well-known before the war for the construction of cars, the Belgian Government placed an order, for the whole Army, for jeeps built under licence Land Rover. To be seen : - for years, the jeep shown has been that of the Commandant of the 2 Cdo Bn. Many countries offering training possibilities are now accessible, in particular Benin since 2001. From January to June 2004, the 2d Commando Battalion is in charge of a teaching mission for a Congolese brigade in Kisangani (DRC), together with instructors specialised in specific disciplines, among whom soldiers of other nationalities (LU - FR - DE). By rotations of 120 men every 2 months, the whole Battalion has thus the opportunity to be back in Central Africa for the 1st time since the massacre of 10 men in Kigali in Rwanda in April 94. 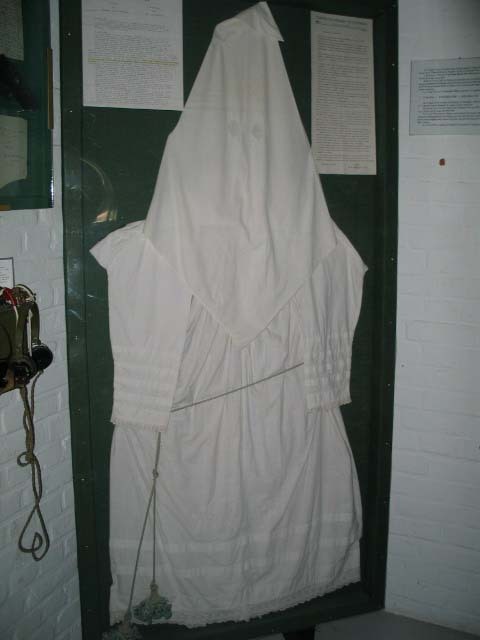 - a dummy in uniform of the Special Group Presidential Safety. 11. A M F (l)/C119. In 1964, the General Staff gives the Para-Commando Regiment the assignment of the Belgian participation within A.M.F(l) (Allied Command Mobile Forces Land) in Europe. Thus, the Commandos will take part in many international manœuvres in Denmark, Italy, Greece and Turkey in Europe and Asia. AMF(l) has been dissolved in 2002. During nearly twenty years, until 1972, the plane C119 (flying boxcar) has equipped our Air Force (15th Transport Wing) and was therefore used for parachute jumps: a first group of 116 Commandos got their Para brevet in July and August 1954. To be seen: - the moment of truth: waiting at the door for the first of the stick, (stick leader) with the jump instructor (despatcher). 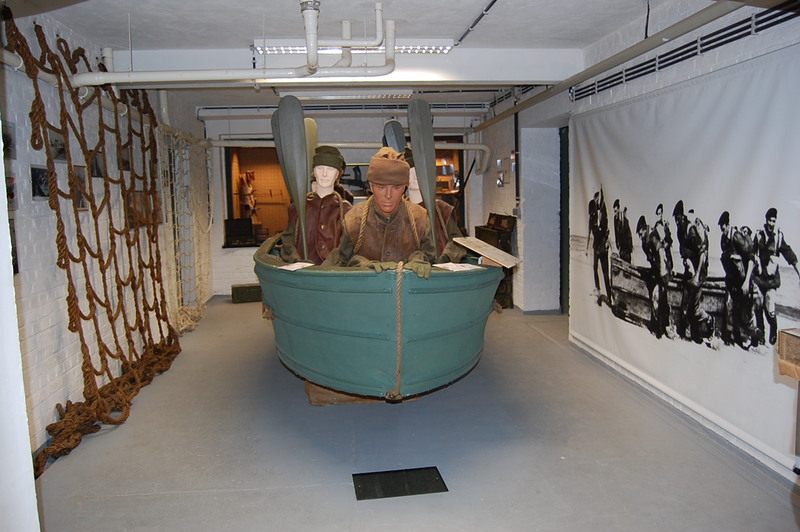 Commandos specialise in amphibian operations and are equipped among others with assault boat MK III (see in room 3C) (called GOATLEY, name of the British engineer which conceived them). They already use inflatable boats with 10 places. As from 1957, following an accident with a Goatley, those are removed and only the inflatable boats (dinghies) are used. To be seen: - Two current dinghies (Zodiac type), one 5 places and one 8 places. The craft-made tent has been produced out of a larger tent (40/50) to give more mobility to the CP. The tent could be placed next to the back of a jeep. 14. First-aid post /shooting position of a Mortar 4"2 (4 inches 2). Initially equipped with mortars 3 inches (see room 5), the mortar platoon has been equipped in the Fifties with mortars 81mm (see room 5) and with mortars 4"2 of which you see here a specimen in shooting position. Reconstitution of a first-aid post on campaign. Besides the first aid, the post is used especially as marshalling post before sending the wounded backwards. - a first-aid post on campaign. 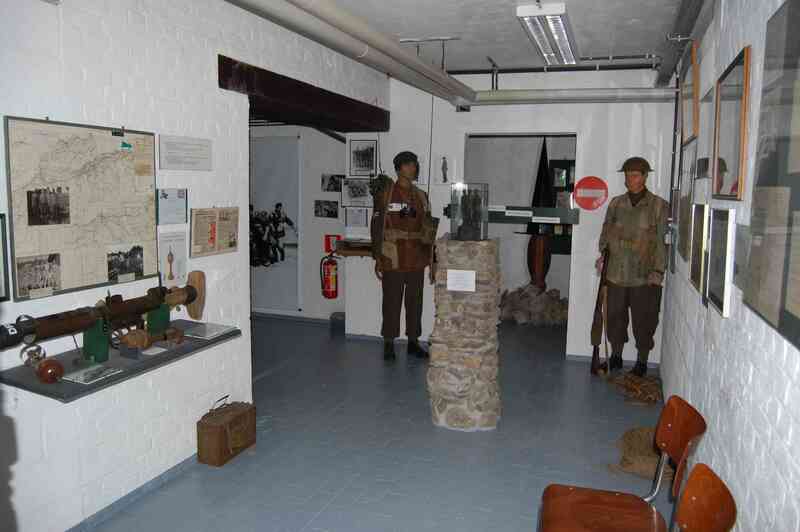 Reconstitution of a German observation post in Walcheren (see first photograph on the left while entering the room). The fresco around the bunker has been gracefully realised by Mrs Marie-Sophie JOIE, Headmaster of the Art school of Vresse-sur-Semois and daughter of the 1st Chief Corporal JOIE of the Cdo TC. The majority of the objects (rusted) come from excavations carried out by Mr Alexis LAYKOFF in the zone of combat of the Commandos of the "4th Troop" in November 44 in Walcheren. - the corner "various objects". 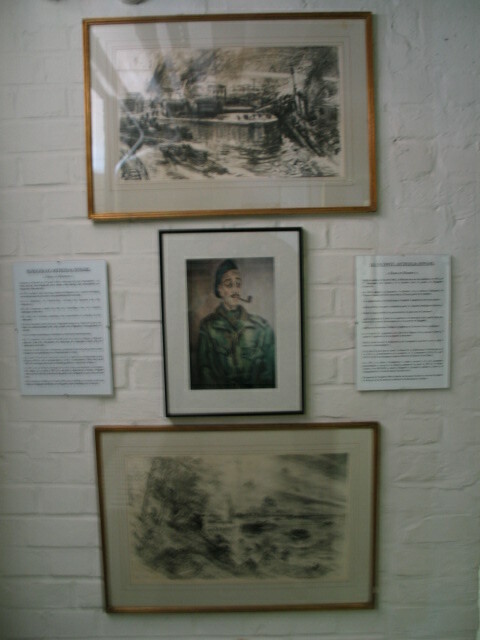 Paintings or collections realised by Commandos. To be seen : - Sight of the corridor with its paintings. Tents for individual lodging on campaign, models 1956, 70 and 2000. To be seen : - a M56 tent. 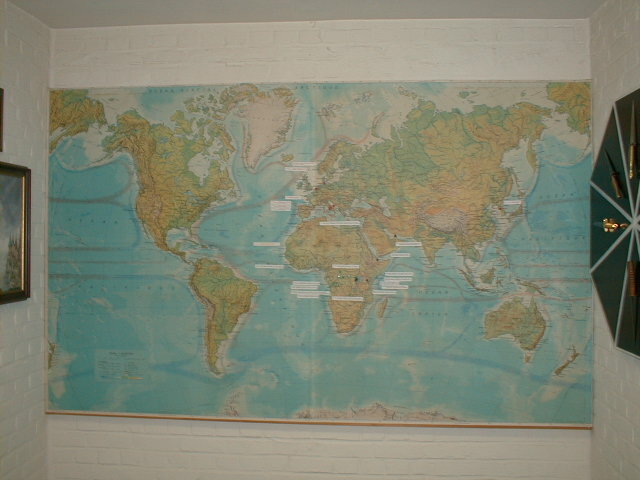 Reconstitution of a part of barrack room at the citadel of Namur. The genuine stove has been offered by the 4 CRI of Bourg-Léopold, undoubtedly the last in Belgium. It had to be shut off every evening at 22:00 (emptied out of its still hot ashes) and could only be relit the next morning at 6:00. The beds, cupboards, table and bench are genuine. The lamp, from the same period, comes from a room of the Citadel. To be seen : - the corner "barrack room". At all times, the achievements of our Commandos have aroused major interest of the press and the publishing in particular. Here are presented various works with regard to them. To be seen : - Panels showing these books.